70 % off – for 24 hrs only!! 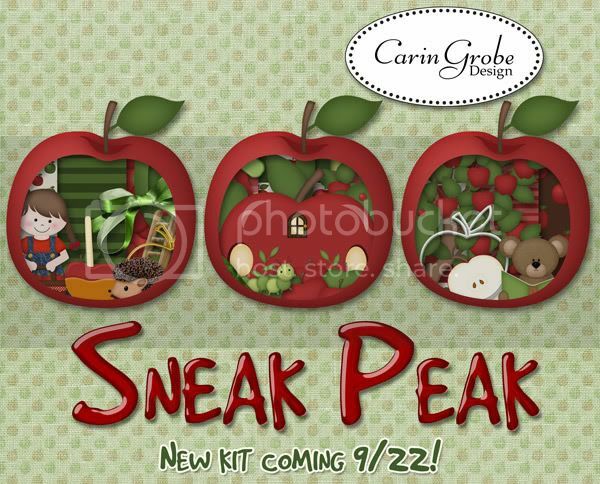 One of my favorite Halloween kits is celebrating it’s return – revamped and expanded! 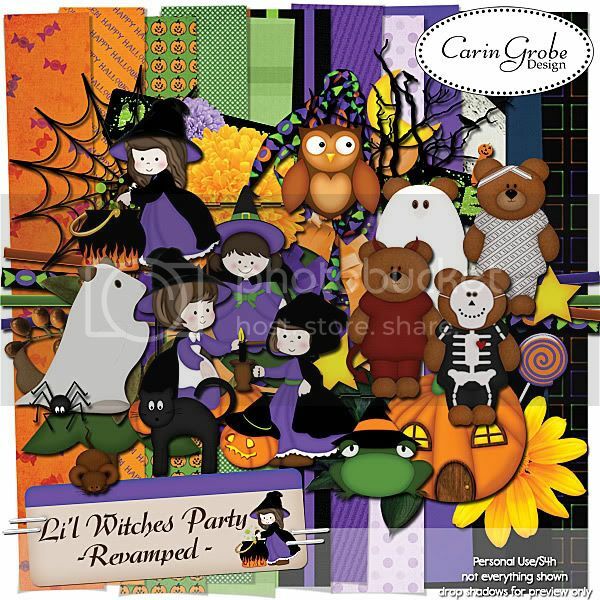 Join the four cute little witches and their adorable dressed-up animal friends for a fun Halloween Party! 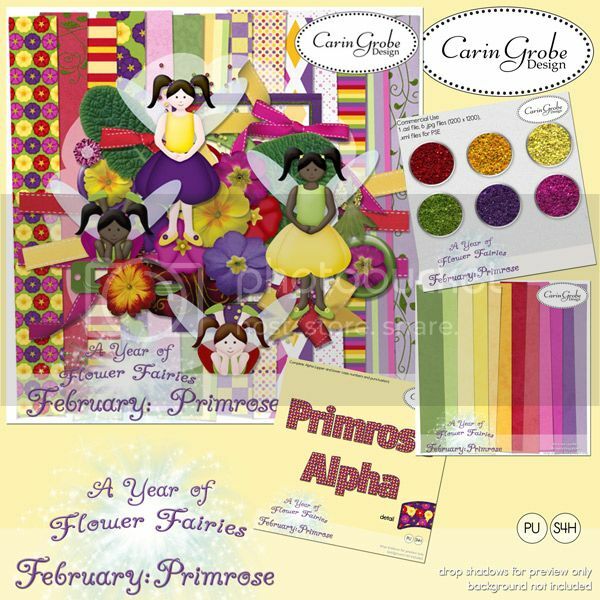 There’s nothing to be afraid of in this bewitchingly beautiful kit – even the little mouse dares to join the party! 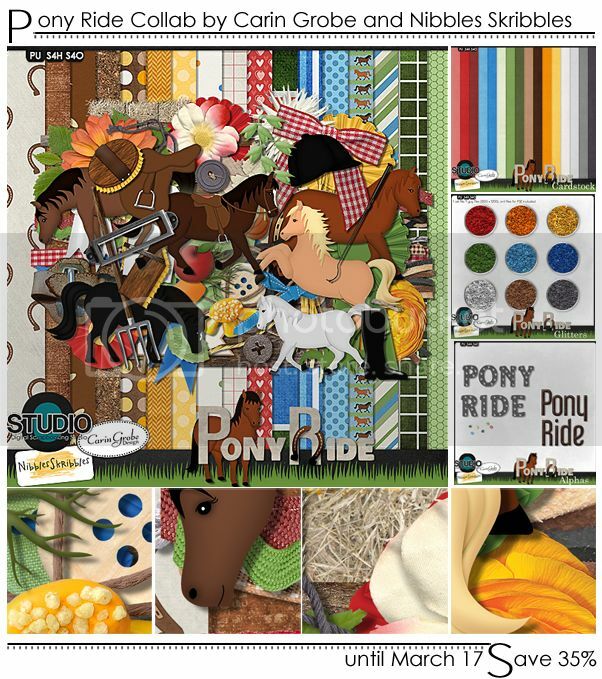 Kit contents (everything created at 300 dpi): 27 papers (18 patterned papers and 9 solid cardstock all 12 x 12 in) and 47 elements. What young girl can resist throwing a tea party for her best stuffed friends, decorated with rainbows, glitter, and a butterfly or two? 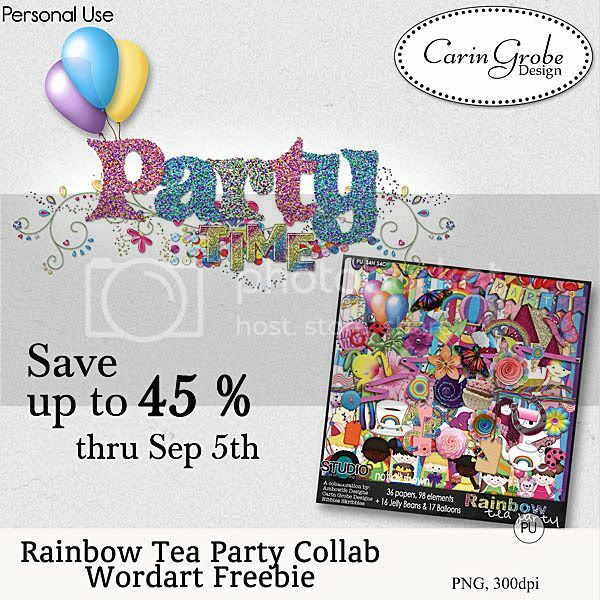 In Rainbow Tea Party, a collaboration between Ambowife Designs, Carin Grobe Designs, and Nibbles Skribbles, you’ll find cupcakes and tea pots, ladybugs and jellybeans, plus a rainbow assortment of papers perfect for decorating your photos of best girlfriend get-togethers, birthday parties, and make-believe teas. 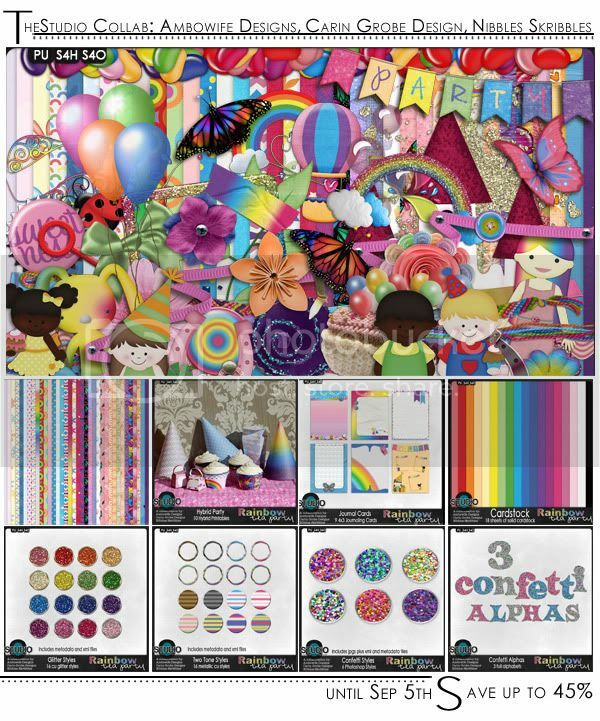 There are balloons, bubbles, clouds, and more – let your imagination soar to create dazzling layouts with this bright and cheery collection. 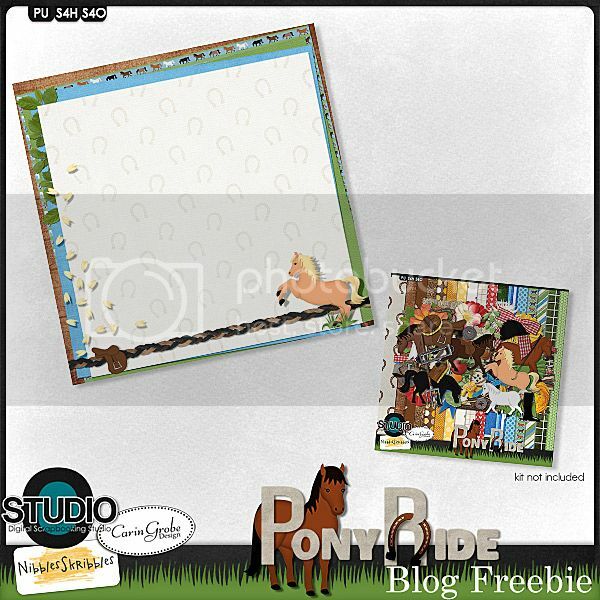 The Kit, a Hybrid Party Pack, Glitter Styles, Confetti Styles, Two-tone Metallic Styles (also available as Styles Bundle), Cardstock Set, Confetti Alpha and Journal Cards. Save money by picking up the Kit Bundle or the Mega Bundle.